With DJI’s Mavic 2 announcements out of the way, as the blind buying hysteria begins, let’s take inventory of what we’ve already got, and how it compares with the new siblings on the block. Please “Like” the Facebook page, and follow on Twitter @UAVcine, while also submitting your own drone films for your increased exposure all-around via the Vimeo User Group. 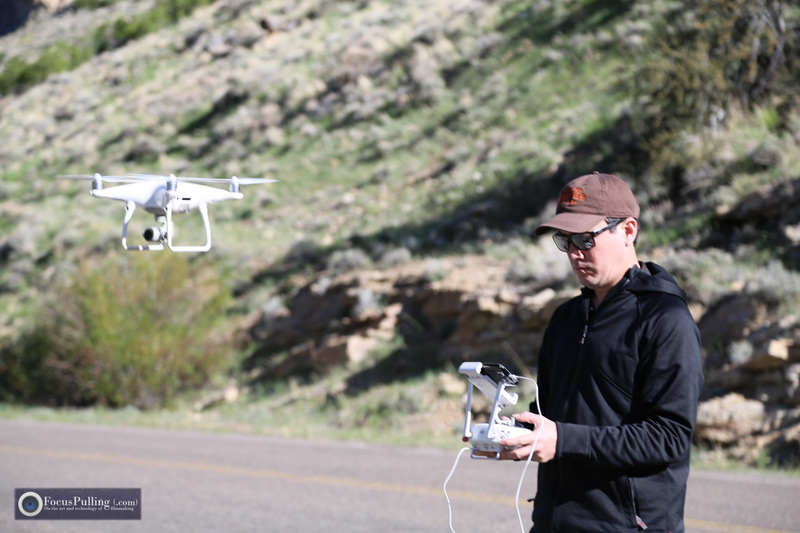 Looking forward to sharing your work, combined with sharing daily news about Unmanned Aerial Vehicles (UAV) for cinema. Version 2.0 of this best-in-class “prosumer” drone arrived just three months ago, but didn’t get much love — mostly because it looked the same and barely changed, at least according to common blogs that run down spec sheets like advertisements. Infrared obstacle avoidance sensors did get added, and the wireless controller transmission technology changed from one standard to another, mostly for promoting a DJI Goggles product that amounts to an unproductive toy for most of us (OcuSync did not increase range, but did increase resolution to 1080p from 720p which is a needless refinement for small-screen monitoring). The propellers got a slight re-design to tone down the screaming loud noise, but you could buy them as accessories for your pre-V2.0 Phantom 4 drone anyway. Mechanical shutter: pre-V2.0, the Phantom 4 Pro has a rolling shutter camera, which results in wobbly distortion during quick motion — and when it comes to drones, motion is what it’s all about, even though smoothness is the benchmark. I have personally compared results and seen a noticeable improvement from the V2.0 camera non-rolling shutter when even if the drone is moving smoothly, for example, something passes by quickly in the foreground. Better lens, with a variable (not a fixed) aperture: the glass is improved, with 8 elements in 7 groups, which is critically important being sandwiched between the world and a tiny sensor — and even though a 1-inch sensor is considered large for drones, it’s pathetically inadequate for serious filmmaking (e.g., smaller than Micro 4/3, way smaller than Super 35mm, and dwarfed by full-frame sensors), thus lenses are extremely important when focusing onto a tiny surface. H.265 UHD video encoding at 100 Mbps: this new feature is brutally under-reported, mostly because bloggers/vloggers are scared of its resource demands, and/or don’t understand it. H.265 is typically perceived as a way to deliver files even smaller than H.264, but with V2.0 here, the critical fact is that it records at the same 100 Mbps maximum bitrate as in H.264, while into the greater “storage capacity” of H.265 — it simply stores more detail. The problem with every comparison I’ve seen, is that they make an amateur mistake of using frozen screen grabs, and then pixel-peeping side-by-side. That’s not the relevant issue for such an especially motion-driven product like a drone, because the real challenge for compression is intraframe and interframe — the erosion of footage going from one moving frame to the next, inside and between. H.265 at 100 Mbps does have a breaking point once you’re flying a drone over thousands of fluttering tree leaves, for example. You can still see that compression problem in my video fronting this article, acquired using the new H.265 (more later on that), but with H.264 (pre-V2.0) it’s worse and unacceptable if you’re serious about integrating drone footage with cinema-quality footage on the ground. And while there’s a lot of moaning about how H.265 is difficult to edit, that’s how technology marches on, right? Creating proxy files (e.g., in Adobe Premiere) has never been easier. 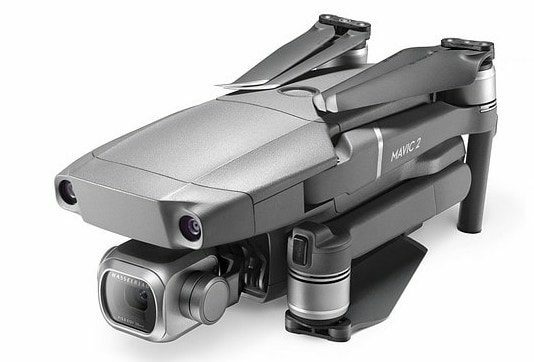 The elephant in the room is two-fold: that the Phantom body shape is iconic by now for drones; but also, it’s not foldable and portable the way that the Mavic Pro and Air and Spark are. Is it worth the bulk? The general consensus is that you get better flight stability using any Phantom 4 Pro in comparison to the smaller drones, setting aside weight and distance specs. Another huge factor, and I think this is the biggest one: the Phantom 4 Pro V2.0 (and its predecessor) has a variable aperture. The importance of this feature is vastly underestimated. If the Mavic 2 Pro didn’t have a variable aperture, that would have been a deal-killer for anyone creating quality video content (and why bother making anything less?). The first line of defense you’ll hear is: just use an ND filter. But that simply won’t be enough. Let’s (hopefully) agree that the easiest thing to spot in poorly shot drone footage, is a fast shutter speed that makes the motion look jittery (because it violates the “180-degree shutter rule,” which preserves proper motion blur intra-frame). Let’s also (hopefully) agree that the only video mode worth shooting in is D-Log, which in turn imposes a minimum ISO gain value of 500, which is really bright! When I went casting about for ND filters, the usual Polar Pro recommendations kept coming my way, but I settled upon DJI’s own ND16 filter since it screws directly onto the camera without changing its form factor at all (simply replacing the original IR filter, and the only way to keep using the original gimbal bracket). Its optical quality is visibly indifferent to any supposed higher-grade ND filter, and ND16 is the right catch-all neutral density value for this combination of settings. So, you’re shooting in D-Log at 500 ISO with your ND16 filter screwed on, and your drone is already in the air, and of course the number one stress about flying a drone is scarce battery life — every second counts. And if you’re behaving professionally (! ), of course you’ll never break the 180-degree rule: so at 30 frames per second, the shutter speed is 1/60, and that’s that. Any higher, and the motion begins looking cheap. Aerial cinematography is all about smooth motion, right? This means that when you need to adjust exposure down, to avoid blown-out highlights (that would kill any shot), you’re still stuck at 500 ISO, and of course, the ND filter is fixed and not variable. The only tool left — as a basic principle of photography/cinematography — is aperture. 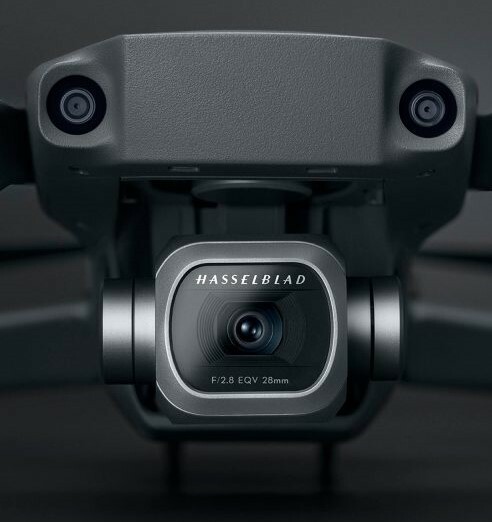 The Mavic Pro and Mavic Air use fixed apertures, at their widest-open. So they’re screwed. And then, what if you need to raise the exposure while you’re already flying, because what you’re shooting at is momentarily too dark? 500 ISO is arguably very noisy to begin with, on a 1-inch sensor (again: that’s still very tiny, even if DJI thinks it’s “The Big Picture”), so raising the ISO is a death sentence on the quality of your footage — not to mention, a continuity killer. Part of your shoot will look grainy, another part clean. Bad choice. What’s the only choice left? Again, variable aperture. 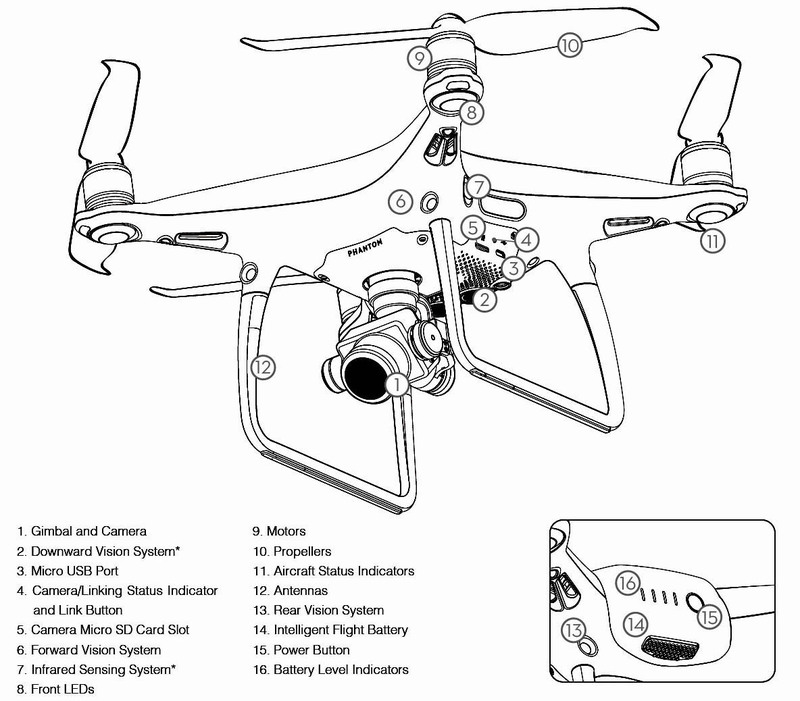 This is how any drone qualifies as a flying video camera. The Phantom 4 Pro series has it, and the Mavic series so far doesn’t. And what about compression? As mentioned earlier, H.265 is unpopular mostly because it freaks out any slow-performing computer: it’s a highly compressed codec and consumes lots of CPU power that’s already being taxed by UHD resolution. But that doesn’t change the importance of getting the highest possible quality at the acquisition stage, and managing post issues with tactics like proxy files (or just getting a faster computer). The Phantom 4 Pro V2.0 deals with motion artifacts from highly detailed landscapes (e.g., thousands of fluttering leaves on trees) much, much better when shooting in H.265. Caveat: it doesn’t function at 60 frames per second. That’s a separate argument, but reasonable artists will agree that slow-motion is reaching overflow levels of cliché! It still strangely drives a lion’s share of camera industry innovation, with each manufacturer tunneling ahead trying to jam the highest frame rates possible into tiny boxes. I frankly don’t get it (perhaps bridezillas demand slow-motion sequences set to elevator musak, and wedding videographers outnumber filmmakers? 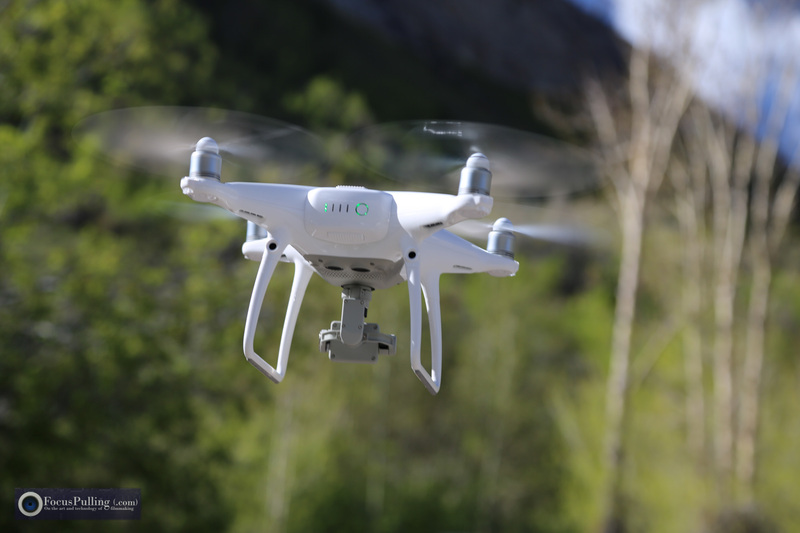 ), but technology is always a matter of balancing compromises: in the Phantom 4 Pro V2.0, if you want the best quality footage, you’re using H.265 at a maximum frame rate of 30, and 100 megabits per second. Something also worth mentioning is that the controller is superior ergonomically, whereas portable drones compromise in this area. Size is important, because the more latitude you have over control using small finger movements on limited axes, the better. Even so, I found a dramatic improvement in the cinematic quality of my footage upon changing from the default settings in the DJI Go 4 app, as described for example by users such as this (old advice still applies to the new model). And Tripod Mode is a surprisingly valuable usage for a drone, even though we usually think of flying high. It achieves a steadiness and safe access over varying terrain that’s impossible to produce when walking on the ground with a hand-held gimbal. When it comes to range and safety, I’m frankly amazed by this (but, may feel different when I lose this thing, or crash hard). The combination of GPS and GLONASS, as well as the further V2.0 addition of Vision Positioning (using the camera itself as a visual backup to satellite-delivered geolocation), pretty much ensures you won’t lose this thing. “Return To Home” is your happy button, and it always works — also ensuring that you’ve got enough battery left for the trip home. I mean, as you can barely see it in the picture below (just above the middle cloud), there’s always a moment pretty soon into your flight when you simply lose track of where it is. DJI is unparalleled in the drone industry for reliable Return To Home functionality, and that’s super important. These pictures, by the way, show the location of my first test run video, seen here. 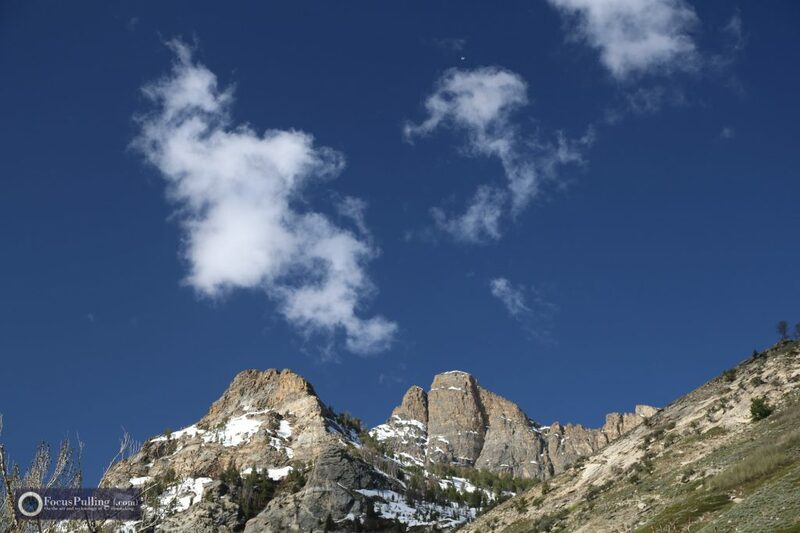 It’s called the Ruby Mountains in northeast Nevada, and it’s one of the very few U.S. National Forests that feature such majestic snow-capped peaks that you usually only find in U.S. National Parks. There’s a huge different for UAVcine operators: the former is under the jurisdiction of the U.S. Department of Agriculture which allows drones, while the latter is the Department of the Interior which bans them completely. My film starts out with hand-held footage shot on a Sony a7 III in S-Gamut3.Cine/S-Log3. I did that for proper shot diversity between ground and air, but also to test the most important thing for a drone, to blend with non-drone footage. I think it worked out alright — D-Log was a necessary starting point — but it required a lot of fiddling with color, and secondaries. The compression artifacts and macroblocking from the 8-bit drone are right at the edge of breaking apart, especially in comparison to the Sony despite its own 8-bit XAVC. It’s worth noting that during fast transitions, including gusts of wind requiring the drone to reposition, the propellers actually might show up in the video frame: you’ll see how that looks for just a few seconds at the top-left of the screen at 01:48. It rarely happened, but it can. Another thing that always factors into UAVcine practice is the self-evident reality that there’s no sound up there! So it’s important to create a subtle but reflective drop-in sound design to mimic where you’re flying, even if there’s a layer of music in the background. 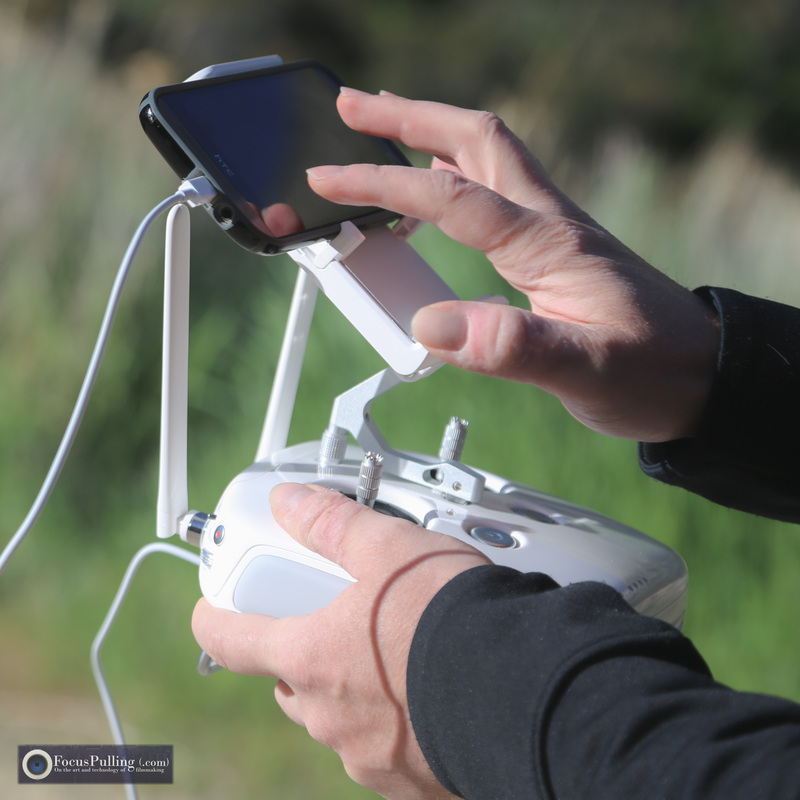 Another tip: buried deep in the DJI Go 4 controller app menus, you can exempt the camera from only pointing straight forward but never higher; you’ll always be at risk of catching those propellers, but the app does allow you to tilt the camera an extra 30 degrees up. That can get really important when you’re flying low, such as in a canyon or among mountains (and this is the one feature of the Parrot Anafi, which can orient its camera pointing straight up, that’s enviable despite its poor image quality). 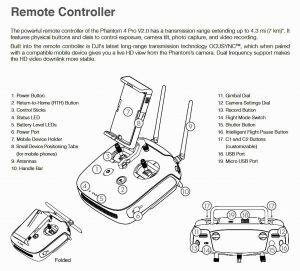 The Phantom 4 Pro V2.0, with or without an included remote control display, is available (by now) at the usual places including Adorama, B&H, and (as a last resort) from the DJI Store. The best way to protect and transport it around, is the Lowepro DroneGuard BP 450 AW that’s currently half off at Adorama. 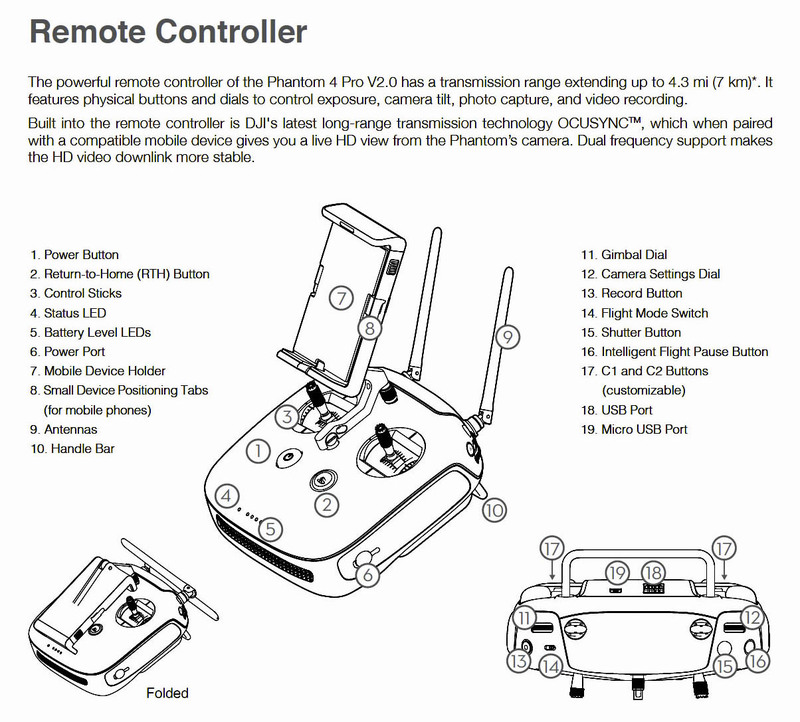 Does the Mavic 2 Pro Make the Phantom 4 Pro V2.0 Outdated? Stability in flight remains critical in all weather conditions, and there, the Phantom 4 Pro series has an edge too. And the latest rumor, that the Phantom 5 is delayed until 2019, seems to settle the question, “what’s the best UAV for video that I can get today, short of a six-figure Inspire?” Looks to me like this is the safest bet. The only edge that the Mavic 2 Pro has, is 10-bit acquisition which can reduce macroblocking artifacts commonly seen (especially from a drone) in fine gradations like the sky. That’s a really important feature, but doesn’t moot the other comparisons — and cramming 10-bit color into H.264 at 100 Mbps is a losing proposition (e.g., the GH5 barely gets by storing 10-bit video at 150 Mbps, while offering 400 Mbps as an option). Then, as expressed earlier, the fact that the new flyer lacks 60p at full UHD in comparison to the Phantom that does, hardly matters when you’re shooting footage at proper 30p in formal real time with accurate motion blur. Now that the hype has settled down, Cliff Totten created this incredibly insightful video, offering extremely probable speculation about why the Mavic 2 Pro’s image quality is inferior to the Phantom 4 Pro V2.0. He reminds us about the eternal truth of sensor specs: that what really matters is how the sensor readout translates into the images we see. 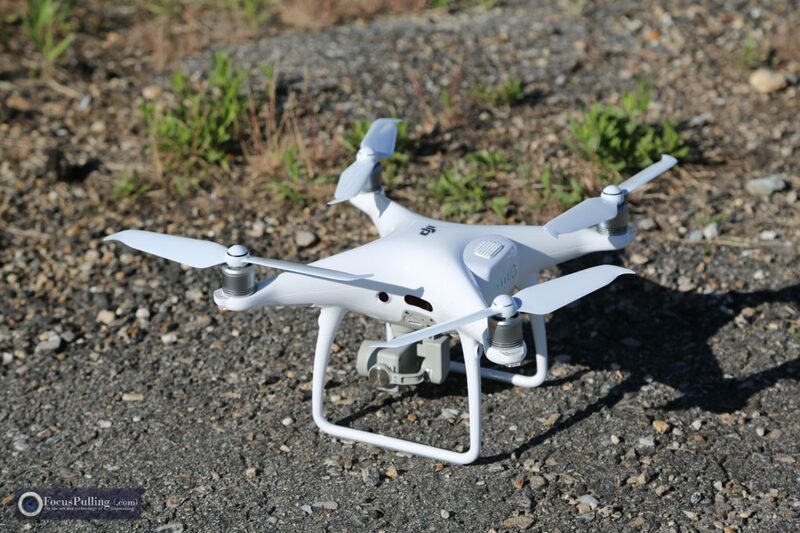 He speculates that DJI’s high-visibility cancellation of its launch event, and delay of the product launch, was due to overheating. This makes perfect sense to me; the camera is jammed into a tiny cube, with more to do (10-bit acquisition, HDR), and we all know that heat is also the principal reason for noisy video image quality. It’s a simple and common solution against such engineering obstacles, for manufacturers to change how the sensor acquires images, using tactics like line-skipping as opposed to full-sensor readout. They can still boast about the core spec (e.g., that it’s a one-inch sensor), but the image quality suffers. Cliff’s video proves this beyond any shadow of doubt. Sadly, this means we have to wait until a Mavic 3 Pro, for the camera tech to finally rise to standards set by the Phantom 4 Pro V2.0, which includes a mechanical shutter as opposed to the new kid’s jello shutter.